Representing Hamble Lifeboat were James Godwin, and Brian Butcher. “The Ahmadiyya Muslim Community have been fortunate to have raised millions of pounds for UK charities since the early 1980’s when we first begun to organise these Charity Walks.“It is also good to reach out to local smaller charities as these often get neglected, which why we wanted to also include The Mayors Charity.”Hamble Lifeboat has also had a share of £900,000 worth of government grants to water rescue services.Maritime Minister Robert Goodwill announced almost £25,000 will be going to station. 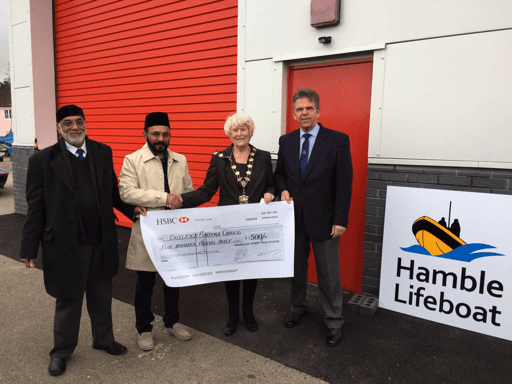 Share the post "Muslim community helps keep Hamble Lifeboat afloat"